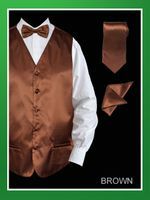 Tuxedo Vests are are colorful satin vests and are just the thing to wear with your tuxedo when you need to stand out in the crowd. 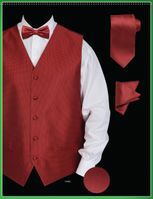 Mens satin vests are great for Entertainers, Dancers, and for wearing with a Tuxedo and matching color Stacy Adams Shoes when Color Coordination is a Must. 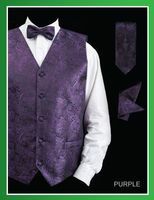 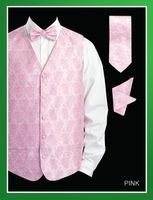 If you need a tuxedo vest for a wedding or perhaps a prom. We're sure to have the silk satin tuxedo vest you're looking for with the color coordinating Homburg Hat on your head. 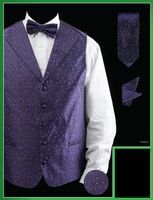 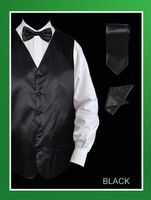 ContempoSuits.com has you covered with a huge selection of satin tuxedo vests for Prom and entertainment. 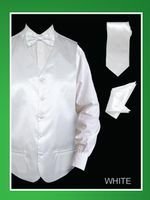 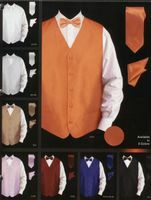 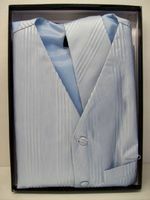 Mens Tuxedo Vests come in all kinds of colors and are made of silky satin. 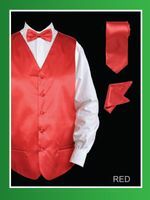 Whenever someone is going to prom there are going to be young men who need mens satin vests to match their dates dress color. A satin vest in a matching color always makes the pictures taken on Prom night a wonderful visual memento. Mens satin vest come in all of the latest fashion colors to match Prom dresses just for this purpose and it's this very reason that there is such a huge selection available for men to choose from. 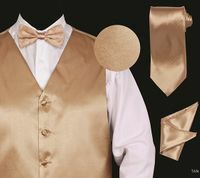 Since nothing brings out your Formal Wear better than shiny satin when wearing your tuxedo, it's easy to assume that a shiny silk vest will really make your tuxedo the right way to wear your style for the evening.